It has become increasingly hard for aging talents to live out their days at the same clubs where they played out their prime, unless of course, they are really good at the job. With the transfer of youngsters targeted specifically to replace the more aging players in a roster and certain clubs willing to match or even raise their wage packages, the days when fond destinations were also the location to retire at may be coming to an end. 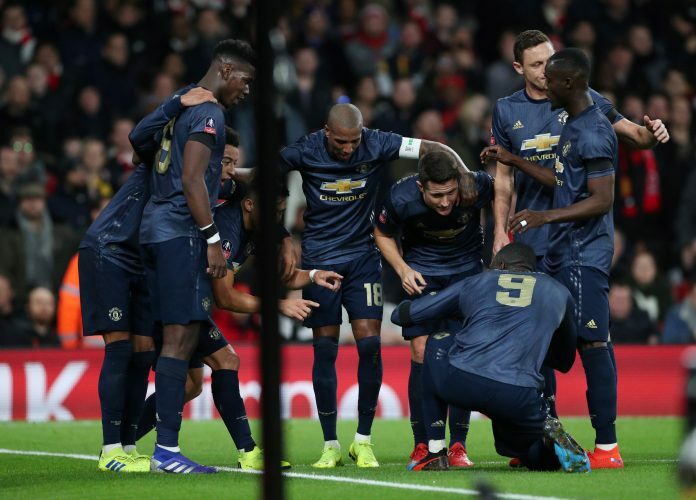 Now, Manchester United, despite having hosted numerous players towards the end of their playing days may be all set on offloading a long-serving talent. As per The Sun, United are likely to cut ties with club captain Antonio Valencia by the time the winter window closes. The 33-year-old’s contract expires in the summer, but the Mancunian giants may not wait until he is a free agent to rid him off their paychecks. The report adds that both Fulham and Newcastle United are eager to make him a part of their squads before the winter window is up. Fulham’s desperation for the Ecuadorian is due to missing out on their first-choice target Victor Moses. Meanwhile, the transfer need not be a purchase, as the interested parties are allegedly open to acquiring him on a loan move and paying his wages until the end of this campaign. The winger turned right-back had seen a rejuvenation of his role, particularly under Jose Mourinho. However, after he was named the skipper, a social-media incident saw him punished by not being given game-time. Even after the sacking of Mourinho, Valencia hasn’t been enjoying much game-time, and it is easy to see why he may be considering this option. Regardless, it will be interesting to see whether United will sell the player who was named the skipper at the start of this season.